*The Bass also participates in the Blue Star Museum program in collaboration with the NEA. For more information, please visit www.arts.gov. The café closes 15 minutes prior to the museum closing. Tours of our temporary exhibitions are available upon request with at least 1 week notice and subject to availability. Tours are led by museum docents in Spanish or English and last 45 minutes. To request a tour, please see GROUPS. The Bass offers a variety of experiences to fit your class, for grades K-12. Trained educators facilitate engaging discussions and activities in response to works on view. The Bass’ group tours offer a deeper look into the exhibitions on view. Spanish speaking guides are available upon request with advance notice, and subject to availability. Docents are an integral part of the visitor experience at The Bass. Trained by museum education staff as tour guides, docents give interactive tours to individuals as well as visiting groups of children and adults. Opened in 2017, The Bass Creativity Center is a full-service education wing with two classrooms, a multimedia lab, administrative offices, a reception lobby and an outdoor play-area. What was originally a single classroom, now encompasses a total of 5,200 sq. 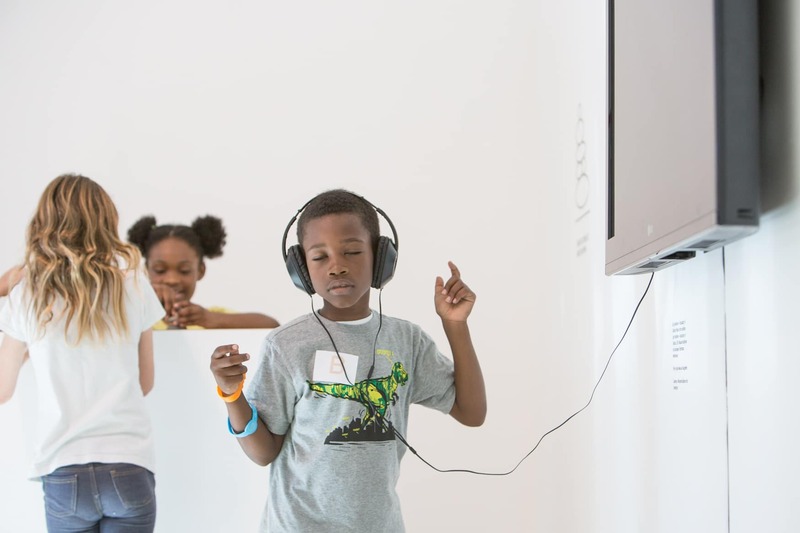 feet, making The Bass’ Creativity Center one of the largest dedicated education facilities for a museum in Miami-Dade. The Creativity Center is the learning hub of The Bass IDEAS programming, featuring innovative workshops, tours, community outreach projects and unique public programs. Developed in conjunction with Stanford University’s Institute of Design via a year-long collaboration, and built into our program curriculums, IDEAS (Identify, Discuss, Envision, Apply, Share) methodology utilizes design thinking techniques of process-based learning to encourage critical thinking and multi-disciplinary education.